Checkers is one of the most popular and entertaining board games all over the world. It is simpler than the chess but you can have fun playing it on your phone and PCs with your friends or against the computer. It’s a great way to spend your free time. The rules of the games are easy and it begins with an 8×8 board with 12 pieces on both the sides. Initially, these pieces can move only in diagonally forward direction. Once a piece is “crowned” or “kinged”, it can move in both forward and backward directions. You can capture the pieces of your opponent by jumping through them. Once you capture all the pieces of the opponent or leave them with no legal rules, you win the game of Checkers. To satisfy your need and addiction for Checkers, to keep your mind sharp, or to just to spend your leisure time, the App Store brings various Checkers apps for you.Top 5 iPhone Checkers Apps Download. Play Checkers with the best graphics and gaming experience ever on your iPhone with this amazing app called Checkers Premium. The Checkers engine in this app is very powerful. You can easily select your opponent from the multiplayer option that is provided as a great feature in the app. You can select amongst your gaming centre friends of any random opponent from all over the world. It has features compatible for both single player and double player. 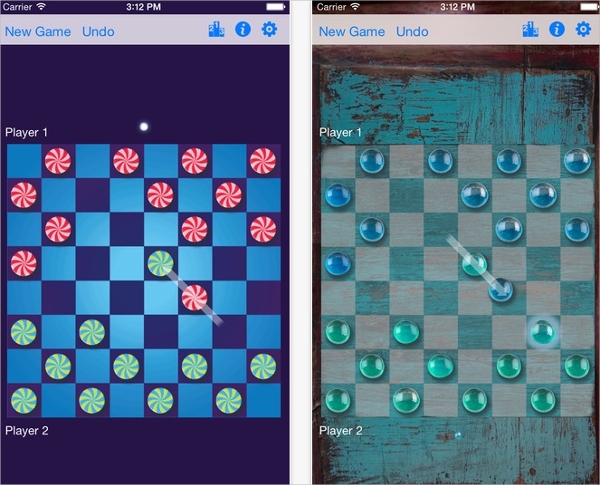 Play it with your friends or against the computer to enjoy and test your skills in the game of Checkers. Great sound effects with amazing graphics. Configuration for editing player name and easy score tracking. AI engine developed by renowned AI researcher Martin Fierz for outstanding user experience. The Checkers 2013 is an amazing and free to download Checkers app for Checkers addict like you. If you are an amateur and want to learn the basics of the game then this is the best suited app for you. Learn playing with the provided instructions in the manual and get involved in the game within no time. Tournaments and championships organized for active participation. Checkers Federation, i.e., International/French, Italian, English, and Spanish. Learn by practising and studying your moves. 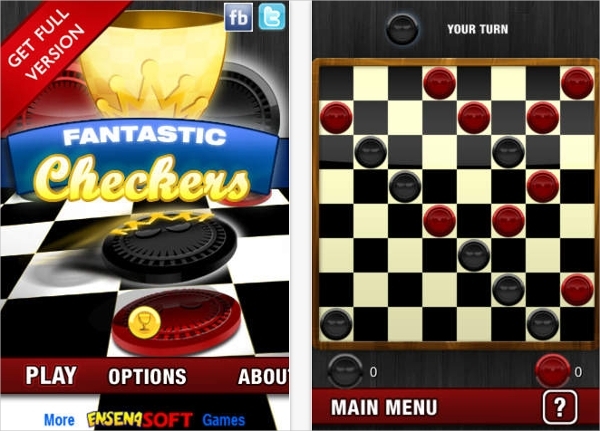 This app is one of the popular apps that support different types of checkers games. You can make your computer as your opponent or your other friendfs on the same device. This app also supports the Game Centre. Different type of Checkers or Draughts games supported from all over the world. You can play it against your computer. Make your friends as your opponent on the same device. 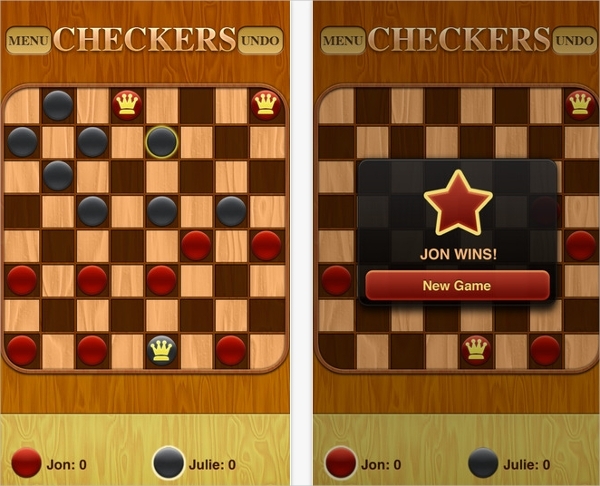 It’s one magnificent iOS application for checkers game that makes your friends or computer as your opponent in the game. The level of the game is easily adjustable. The game is for single and two player with rules enforced and the pieces are glided into their respective position. 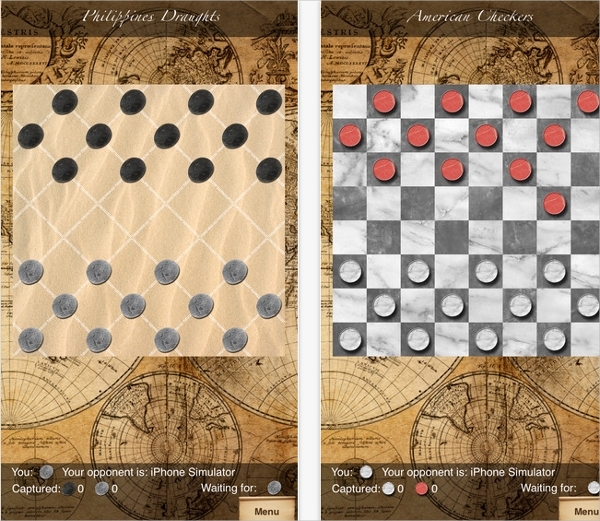 Have an amazing gaming experience by playing checkers on your iPad, iPhone or iPod touch with your friends or computer and choose amongst the available six gameboards. Features like multitasking available on new devices. Glowing of the pieces and squares subtly to show you the legal moves for your help. Pieces glide easily into position when set free. Fantastic Checkers Free is a famous version of the conventional board games. The graphics of the game in this app is amazing and it is tuned with the Al engine to provide best user experience and features to change the levels of the game according to your expertise. The app also supports two player mode for better experience. Single and double player modes available. Fun AI with multiple levels (beginner, medium and expert) available. Feature to disable Force Jumps. 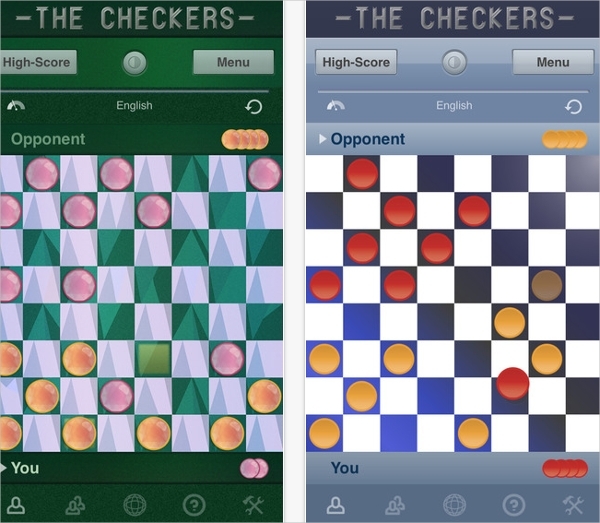 These are the best checkers apps for iPhone and iPad.